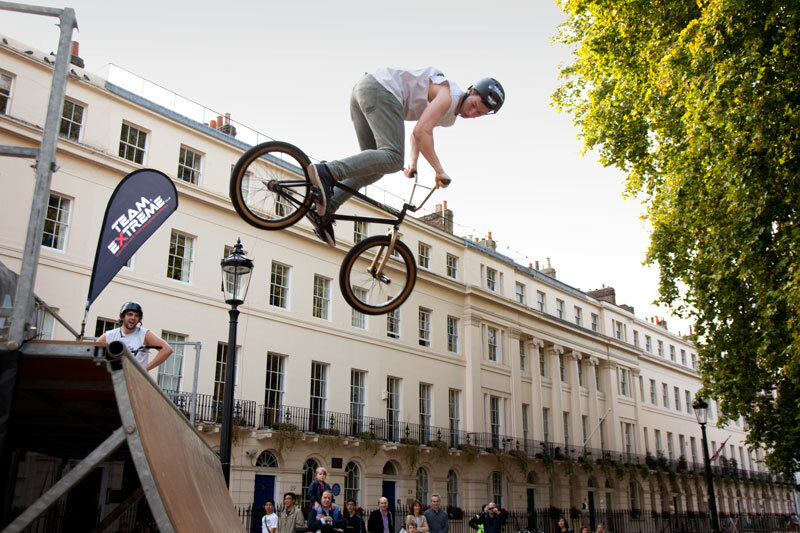 BMX champs Gareth Wilson, Pete Sawyer and Josh Cox gave a few tips to the local lads then showed us how it's really done. 360 flips, frontwards, backwards all pretty impressive. This is just a wee warm up to their next big event next week at NEC Birmingham. If you up that way go see them. Great shot! Great show! I hope his bike is well spring-loaded. That looks very easy. At least if you are a pro, like this guy. Great action photo. 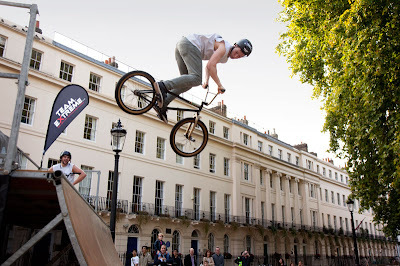 I love watching bike tricks :-) Superb action shot! That looks great fun, well caught Mo. Hah! In front of that serious, traditional building, this really catches the eye. Good one, Mo. That is real heart-in-mouth stuff. Their reactions and coordination and spatial awareness must be quite remarkable. who's batman or a super hero?? ?